The American Animal Hospital Association and American Association of Feline Practitioners recently released the 2015 AAHA/AAFP Pain Management Guidelines for Dogs and Cats, updating the original guidelines presented in 2007. In the following interview, Mark E. Epstein, DVM, Diplomate ABVP (Canine/Feline), AAPM, CVPP, who cochaired the task force that authored the updated guidelines, shares insights into their development and how they assist practitioners in providing better patient care. 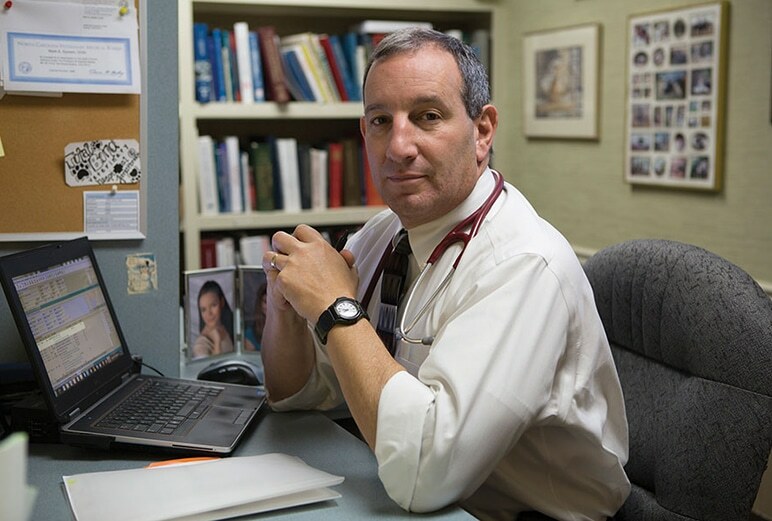 Dr. Epstein is the senior partner and Medical Director of TotalBond Veterinary Hospitals and Carolinas Animal Pain Management. Access the new 2015 AAHA/AAFP Pain Management Guidelines for Dogs and Cats as well as the accompanying tool kit at aaha.org/professional/resources/pain_management.aspx#gsc.tab=0. Why did the AAHA/AAFP develop the original set of guidelines? When the first pain management guidelines were published in 2007, limited attention was being paid to canine and feline pain management, with few approved drugs available and little discussion (or agreement) on how to approach one of the most important aspects of patient care. The 2007 guidelines were compiled to provide the practitioner a framework to approach providing pain management based on the best available evidence and a consensus of expert opinions. What are the most important differences between the 2007 and 2015 guidelines? The 2007 guidelines are still applicable today because they describe and define the broad principles of applied pain management in dogs and cats. However, we now have an increasingly strong handle on recognition and assessment of pain in both species, including the best and wisest use of opioids, nonsteroidal anti-inflammatory drugs (NSAIDs), local anesthetics, and other pain-modifying analgesics. We also have more information regarding nonpharmacologic modalities to prevent and treat pain. The 2007 guidelines stated that pain should be considered the fourth vital sign and directed that every patient be assigned a pain score; the 2015 guidelines describe how to assign that pain score. The 2007 guidelines gave a nod to local anesthetics as a useful tool, whereas the 2015 guidelines assert that local and locoregional anesthetic blocks should be performed when possible with every surgical procedure. The 2007 guidelines introduced nonpharmacologic interventions; the 2015 guidelines assign them a prominent discussion. The 2007 guidelines described the existence of exaggerated, maladaptive pain states, while the 2015 guidelines describe patient risk factors for, and specific interventions designed to minimize or prevent, them. The 2007 guidelines briefly addressed various drugs and drug classes; the 2015 guidelines summarize current best evidence on a variety of analgesic medications, providing the clinician with ready guidance on clinical utility. The 2007 guidelines discussed principles of perioperative pain management, whereas the 2015 guidelines point to an evidence-based approach that guides clinicians in shaping their own protocols. Practitioners can now provide evidence-based recommendations for the most common conditions that cause pain in dogs and cats: acute postsurgical pain and degenerative joint disease (DJD). How best can clinicians put the 2015 guidelines into practice? Providing guidance on evidence-based approaches to prevention and treatment of surgical and DJD-related pain. Describe the value of being a task force member for this project? Every task force member that contributed to the 2015 AAHA/AAFP Pain Management Guidelines for Dogs and Cats was very serious about their obligation to “get it right” because we realized the effect the guidelines would have on the profession for years to come. We emphasized an evidence-based approach, and when the evidence was weak or conflicting, we developed a consensus of expert opinion. However, we recognize the imperfect nature of such a task, and the resulting document requires constant vigilance and continual updates. The task force members feel privileged to have been given the opportunity to focus on one of the most important domains of veterinary clinical practice—the recognition, assessment, prevention, and treatment of pain in our patients.